Bruce Timm and Alan Burnett's upcoming, standalone Justice League animated film Gods and Monsters will take the World's Greatest Superheroes in a very, very different direction -- one that will inform the forthcoming animated webseries from Machinima. Just how different will it be? Well, according to screen grabs from a featurette on the upcoming Batman vs. Robin Blu-ray, obtained by Nerds on the Rocks, we're looking at what seems to be a take on DC's current Earth-2 continuity. Superman is the son of General Zod, not Jor-El...and he's not the nicest of guys. Wonder Woman has ties to the New Gods, and Batman is wildly different as well...although that's an area where there's less crossover with Earth-2. 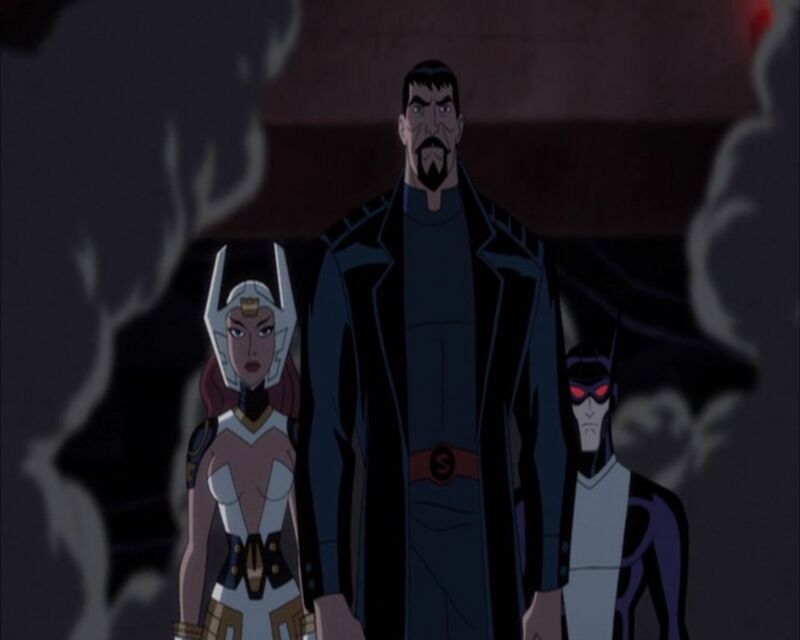 While in the Earth-2 comics, Val-Zod is black (and not the general's son, that we know of -- just has the same house name), Wonder Woman has a child with one of the New Gods (Steppenwolf, to be exact) and Batman is Thomas Wayne, the father of Bruce, the animated film makes Superman white, Batman into Kirk Langstrom (Man-Bat in the comics), who has cancer, and Wonder Woman's relationship is instead with Orion. Per the Nerds on the Rock report, "The movie centers around the murder of prominent DC Universe scientists like Ray Palmer, Victor Fries, Silas Stone and others that the Justice League is being framed for. They attempt to investigate these murders while dealing with mounting pressures from outside sources. Didn’t get too deep into it." Also featured in the film are modified versions of Lex Luthor and Lois Lane, as well as Darkseid. The movie is expected along late in 2015.